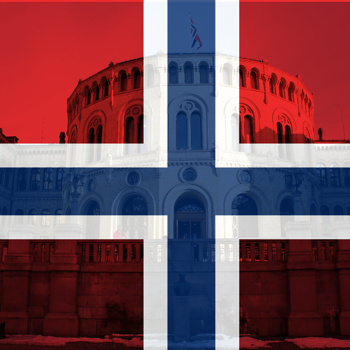 After nearly five years of deliberation, Norway has made a decision to incorporate the EU short-selling regulation into national law. The planned date of enforcement of the new act is the 3rd of January 2017. Until then, existing Norwegian laws regarding short selling apply. One may ask why Norway needs to implement an EU regulation if the legal definition of the regulation states that it becomes immediately enforceable and the transposition into national laws is strictly forbidden. The answer is quite simple - Norway is not a member of the European Union, and EU regulations do not have a direct effect on Norwegian law. Norway is a member of the European Economic Area (EEA), and all EU legal acts must be specifically included in the EEA Agreement and then implemented by Storting (the Norwegian Parliament) to become binding. From the beginning of 2017, transparency in the market will increase as investors who engage in short-selling on a large scale will have to report to the authorities (note: page is in Norwegian) if they exceed certain limits. Under the new rules, investors will have to disclose short positions greater than -0.2% to the Norwegian regulator, with an obligation to disclose short positions greater than -0.5% to the market. Currently, the volume of short sales is not publicly known in the Norwegian market. According to the Chief of the Norwegian Financial Supervisory Authority, a complete register of shares that are lent out at any time will not be available. The upcoming implementation of the EU short-selling regulation in Norway is surely looming large in minds. If you are are subscribed to FundApps’ automated Shareholding Disclosure service, you have no need to worry: our dedicated team of compliance experts ensure the updates to the short-selling rules are made accurately and on time, just as they do with 85+ other jurisdictions around the world. And don’t forget, rule updates issued by FundApps are automatically pushed to the cloud, meaning there are no lengthy install times or complicated procedures.